There's nothing more that I love than treating myself to a meal out after a stressful day at the library - as if you haven't seen my constant complaints all over twitter. I love having a meal out, eating something that's not pasta from my cupboard, and not having to do the washing up. The last meal I shared was at The Edinburgh Larder Cafe, so its time to share another scrummy meal! I've got a list of things I need to do before I leave Edinburgh, as well as a list of restaurants and cafes I need to go to. One of the places I wanted to check off my list before I leave Edinburgh was Wings. I've heard so much about its chicken goodness, so I needed to try it out for myself. 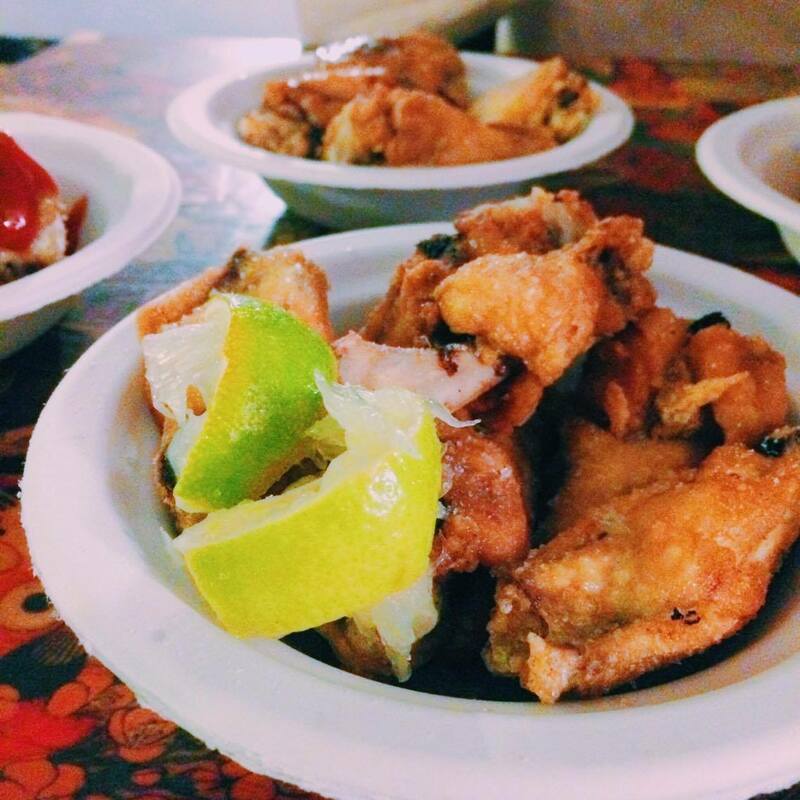 It's every student's dream - as much chicken as you can imagine, with tonnes of flavour option and cheap as chips. It's located on Fishmarket's Close, just off of the Royal Mile - not too far away from the student bubble, and in a perfect location for tourists that are exploring the Old Town. It's a cool little spot, with awesome decoration. Any Sci-Fi lovers? There's a theme to every table, with Doctor Who and Star Wars every where. This place is full of quirky-ness and fun, with fairy lights, chalk walls, and even an old school tv hooked up to a PS1 that you can play while you eat. Oh yes, this place has it all. As for the menu, it's all in the name. 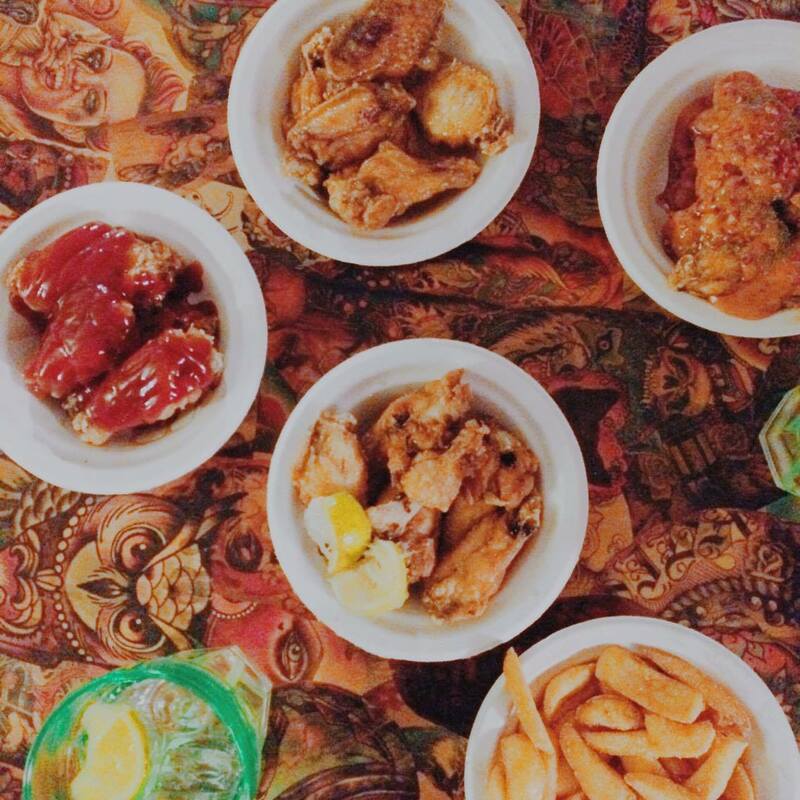 This place is filled with chicken wings (or if you need a change, you can go for nuggets) and the menu gives you a plethora of choices. It's split up into different categories of flavours: Dry As You Like, Sizzler, BBQ, Fresh, Sweet, Bit of the Other, Boozey. And under each heading are heaps of choices for you to deliberate over. Now I'm not one for spice, so had to avoid the ones with flames next to them (aka the whole of the sizzler section). Instead we opted for: Oh Canada, New Worlder, French Bee and Margarita. It was just the two of us, so we thought that 4 flavours were enough, and of course a side of chips. 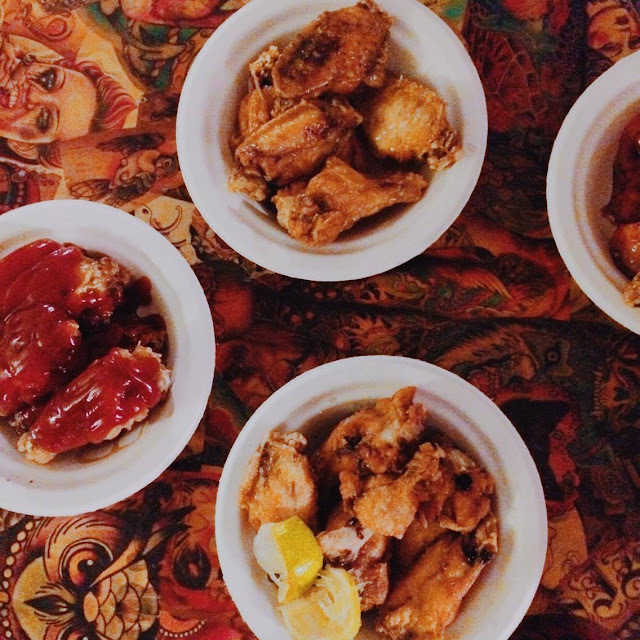 In each bowl you get 6 wings, so we ate a fair amount of wings between the two of us. My favourite flavour was the Margarita one, a perfect combo of lime and saltiness. But it was closely followed by the French Bee (Honey Garlic) which had a delicious sauce that was perfect to dip the chips into. 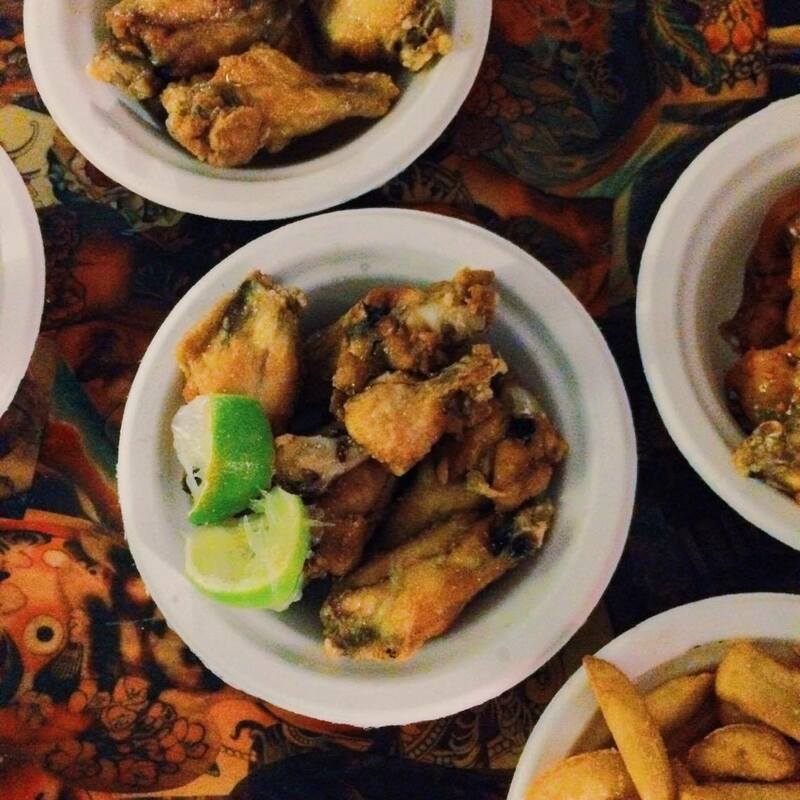 It was the perfect amount of food, and when you're done devouring your wings, you can chuck the bones into a bucket so that you don't need to see the carnage that you've created. It has to be said, this is one of the messiest meals I've ever had - definitely not one for a first date - but it was so worth it. I can't wait to head back (soon) to try out even more of the flavours. Have a look at the menu for yourself - which ones tickle your fancy? Just make sure you remember to book in advance because this place is a popular jaunt! Oh my, I need to make sure I visit there when I travel to Edinburgh. Sounds like the city has so much to offer :-) Can't wait! Thanks for sharing this. I have a plan to visit Scotland again! Looks like a great place! My mom is visiting that area soon, it's great to see some good food reviews. Okay so first of all, the pictures made me sooooo hungry! haha! im not a fan of spicy food as well but a big fan of honey garlic! <3 ugh those mouthwatering food! thanks for this! These look so amazingly tasty, Edinburgh is definitely on my list of places I want to visit!